Dennis and Mary Kay Hemmer have made an extraordinary offer to Rooted in Cheyenne. 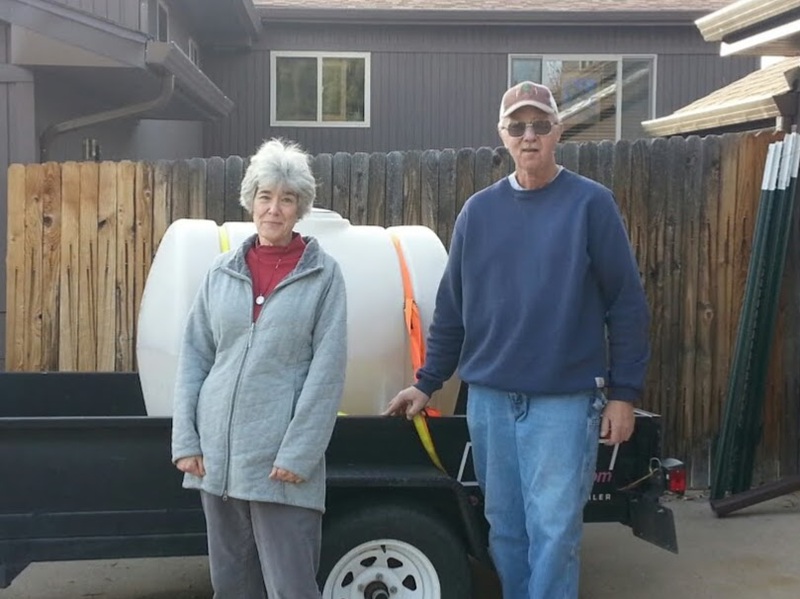 Dennis purchased his own 250 gallon water tank so that he could water Rooted in Cheyenne trees this summer. Watering trees during establishment is vital here in Cheyenne, and their donation of the tank, and their time, will help insure all the Rooted in Cheyenne trees receive the water they need. Thank you, Dennis and Mary Kay for your generosity, and your love for Cheyenne’s trees!